Interference-free, drift-free tunable diode laser technology offers better process control and lower maintenance costs. However, for reliable measurement with a tunable diode laser gas analyzer, or TDL gas analyzer for short, sometimes the required framework conditions such as minimum optical path length, the availability of a purge gas supply and/or maximum dust load get in the way. Acknowledging these constraints, METTLER TOLEDO has developed specific process interface solutions that substantially increase the coverage of possible tunable diode laser gas analysis applications. 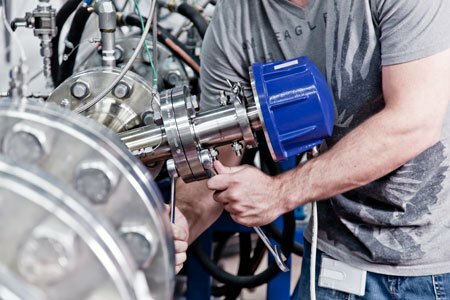 METTLER TOLEDO's unique process adaptions, make it possible to use a TDL gas analyzer in applications previously considered impossible for an in situ TDL analyzer. Oxygen Measurement with a TDL Gas Analyzer: direct chlorination and oxy-chlorination, VCM waste gas recovery, FCC units, etc. 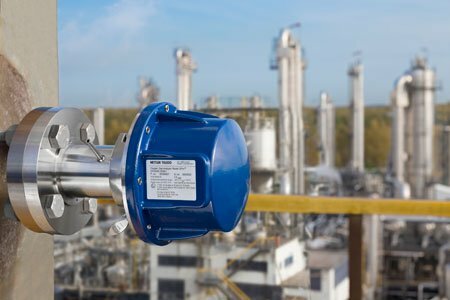 Carbon Monoxide Measurement with a TDL Gas Analyzer: package boilers, process heaters, electrostatic precipitators, etc. Moisture Measurement with a TDL Gas Analyzer: H₂ reformer gas, tower dryer exhaust, etc. A series of process adaptions gives you a range of options to measure in situ, extractive or in cross-pipe installations. All tunable diode laser gas analyzers from METTLER TOLEDO require no alignment, and the standard probe-type analyzers fits in pipes down to DN100 (4"). Other adaptions include designs for DN50-sized small pipes (2"), a filter probe for high-dust or high-condensate applications and a non-purge probe for blanketing applications. The GPro® 500 series of tunable diode laser gas analyzers is built on a unique folded-path design. 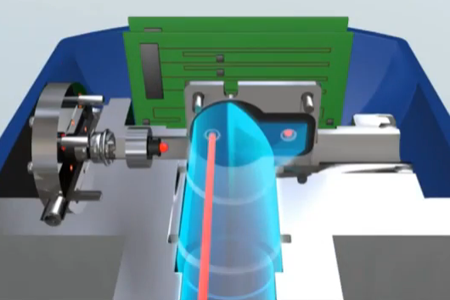 The laser source and detector are located in a single unit on one end of the sensor, and the laser beam is reflected back by a three-sided mirror to the detector, so alignment is always perfect. With our wide array of process adaptions, the GPro 500 can be used in almost all pipes and stacks. Short descriptionAnalyzer for detection of HCl in a gas stream. Must be paired with a process adaption. Short descriptionThis process adaption connects to a GPro 500 gas analyzer for installation in wide pipes. Short descriptionThis process adaption connects to a GPro 500 gas analyzer where conditioning and sampling are required. Short descriptionThis process adaption connects to a GPro 500 gas analyzer for installation in high particulate content gas streams. Short descriptionThis process adaption connects to a GPro 500 gas analyzer for installation in low/no flow, clean gas streams. Short descriptionThis process adaption connects to a GPro 500 gas analyzer for installation in narrow pipes. Gaseous oxygen measurement with amperometric sensors is the most direct and easiest solution for protection against oxidation and explosion. For the measurement of oxygen in continuous process analysis, several technologies are available. This document contains information and safety instructions required to use the GPro 500 with direct analog output option in SIL environments.